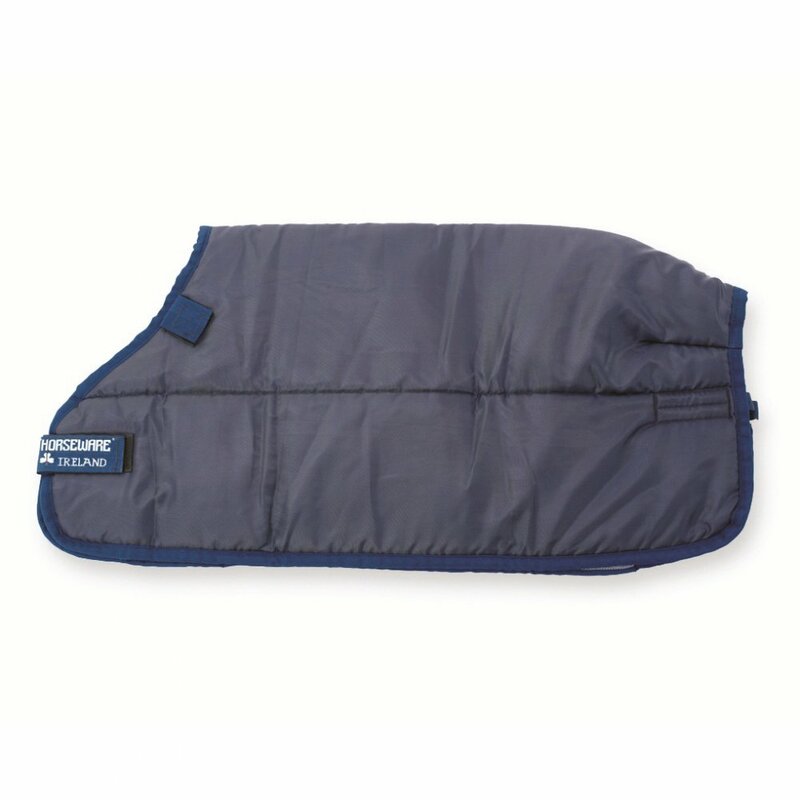 The Horseware Liner 100g is an under rug that features a velcro fastening to attach it into compatible Horseware rugs. This 100g liner can be used with Rambo rugs, Rhino rugs and Amigo Bravo 12 rugs, please check the compatibility of your rug as certain lines (such as the Wug and Optimo) cannot use these liners. Horseware Liners are a simple under rug that come in different thickness that allow additional warmth to be added to your turnout rug. The Horseware Liner 100g has a single front strap and no surcingles.